INOXPA – fabrication de pompes, vannes, mélangeurs. 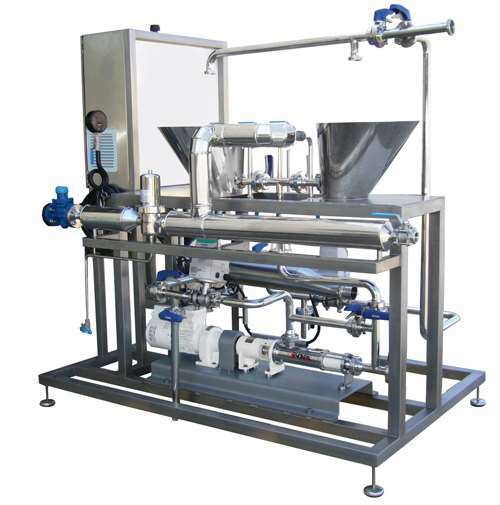 The skid has been designed for a Russian producer of oat-based beverages and probiotic food products. The skid is designed to mix two products: on the one hand, oat and, on the other hand, fruit puree. The pumps transfer the basic products to the dynamic mixer that mixes the two products. The mixing process is controlled by means of a frequency converter and a PLC. The production line is also provided with a steam system for sterilisation. Inoxpa se réserve le droit de modifier tout matériau ou caractéristique sans préavis. Photos non contractuelles.